MormonLeaks recently released “The McConkie Papers,” a series of 37 previously unpublished “sermons, lessons, and accounts” written by LDS Apostle Bruce R. McConkie. One of the files made available by MormonLeaks is “Answers Grounded in Truth,” a compilation of typed and (originally) handwritten, undated notes found in Mr. McConkie’s personal files. 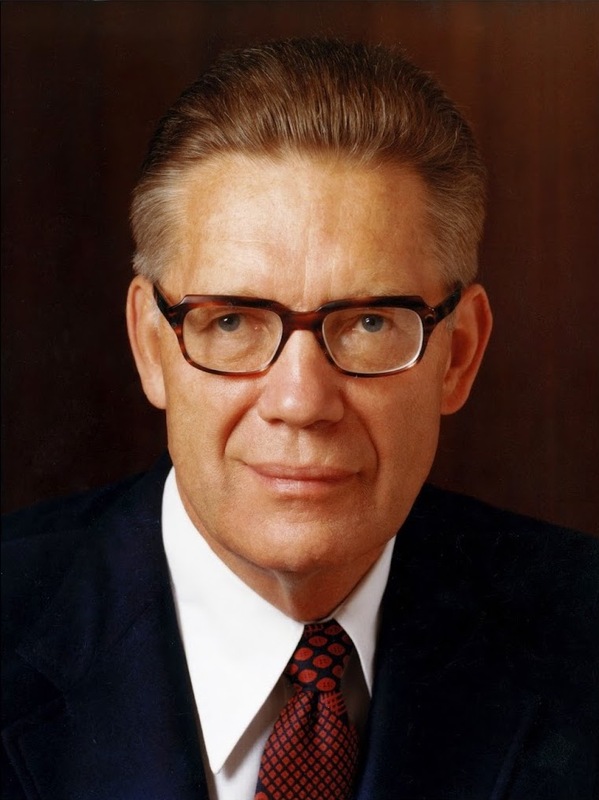 Bruce McConkie died in 1985, but during his tenure as an LDS apostle Mormons admired, accepted, and believed him. His credentials as an LDS leader were impressive and he was trusted by the LDS Church to fully understand his religion and thereby teach nothing but the truth. Given Bruce McConkie’s place as a trusted and respected Mormon theologian, coupled with his authority as an LDS apostle, some of the “Answers Grounded in Truth” found in his personal files are nothing short of astonishing. Although Mr. McConkie did not publish the answers he recorded to certain theology-related questions, there’s no reason to think that he didn’t believe what he wrote. Provided here are a few of Mr. McConkie’s answers grounded in what he believed to be truth. “When they, the creators, that is all the noble and great ones who helped Elohim, Jehovah and Michael in the creation, when they helped they literally planted seeds. This we understand from both the temple account and the Pearl of Great Price accounts of the creation. “Where did they get the seeds? From another sphere, from which they brought them. This means that the same kinds of animals and vegetables exist on all other worlds. The seeds came from some other planet, or planets. The same thing is true of horses, elephants and all animals. But this is so far beyond the saints that we don’t preach it. The “mark of the beast” as mentioned in the Bible is understood to be something that identifies followers who are loyal to the Anti-Christ, and seals them to this enemy of God. Though shocking for Christians, Mr. McConkie’s idea that this mark would be the symbol of the cross is consistent with Mormon tradition. Mormonism has shunned the symbol of the cross for a very long time, seeing it as an element of death and an emblem of Apostasy. Yet for Christians, the enduring symbol of the cross signifies allegiance and devotion to Christ. As the biblical apostle Paul taught, Christians “glory in the cross” because, the Bible says, “the word of the cross is folly to those who are perishing, but to us who are being saved it is the power of God” (Galatians 6:14; 1 Corinthians 1:18). Mr. McConkie was someone who believed himself to be – and who was believed by Latter-day Saints to be – a true apostle of the true God, endowed with power and authority to speak for the Almighty. But his answers – far from being grounded in the truth God has revealed in the Bible – were contrary to biblical truth. Yet they faithfully represented Mormonism, a religion that diverges from Christianity at every turn.